A report that Iran has agreed to talk one-on-one with the United States after the November election roiled the race between Barack Obama and Mitt Romney in its final two weeks, just one day before the two men engage in a 90-minute debate on foreign policy on Monday night. Since the beginning of 2012, many analysts have argued that talks over Iran’s nuclear program wouldn’t be successful before the election. 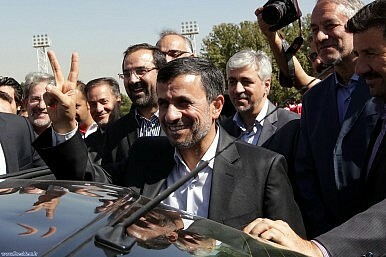 Indeed reports citing unnamed Western officials have said that Iran’s negotiators have told them as much themselves. That’s because the only plausible deal between the United States and Iran would involve significant concessions by Washington in exchange for Iran’s decision to limit its nuclear program to low-enriched, fuel-grade uranium and to accept much stricter oversight by inspectors with the International Atomic Energy Agency. Among those concessions would be allowing Iran to continue enrichment on its own soil and an end to economic sanctions. In the context of an election contest in the United States, such concessions would be almost unthinkable. That’s a troubling commentary, perhaps, on the state of American politics, since a U.S.-Iran deal along those lines – which could be presented to domestic audiences in both countries as a “win-win” result – would greatly reduce the likelihood of war, and polls in the United States show little or no appetite for war with Iran. Still, hawks, including many of those in Romney’s camp, would waste little time seizing on concessions to Iran and turning them into yet another sign of President Obama’s alleged weakness abroad. Following the report, first published in the New York Times, both countries denied that any one-on-one talks were agreed upon. And behind the scenes, former U.S. diplomats and intelligence officers warned that chances for a U.S.-Iran meeting could be scuttled by the premature report. There have been widespread reports that the United States has engaged in what the Times called “intense, secret exchanges between American and Iranian officials” for some time, and other sources, including the Wall Street Journal, reported that talks could begin as soon as November or December between Iran and the P5+1 powers with, Wendy Sherman, a top State Department official, and Said Jalili, the Iranian chief negotiator, leading negotiations on their respective sides.